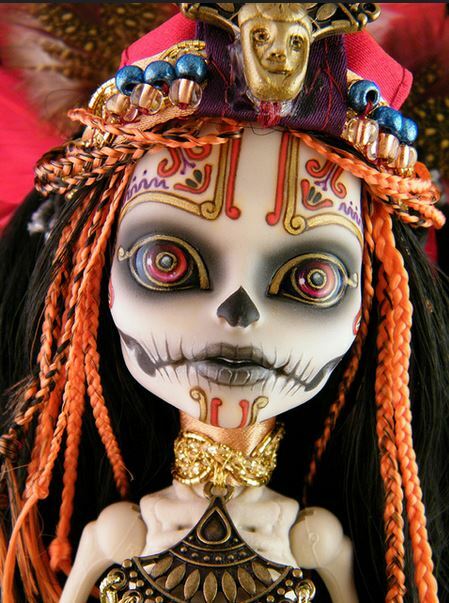 I came across a Flickr stream with some beautiful doll modifications. A goddess of destruction, here and there. A seductive Venus Fly Trap. They are even gorgeous while in progress. And lastly, my absolute favorite of the bunch. A gorgeous tribal priestess? 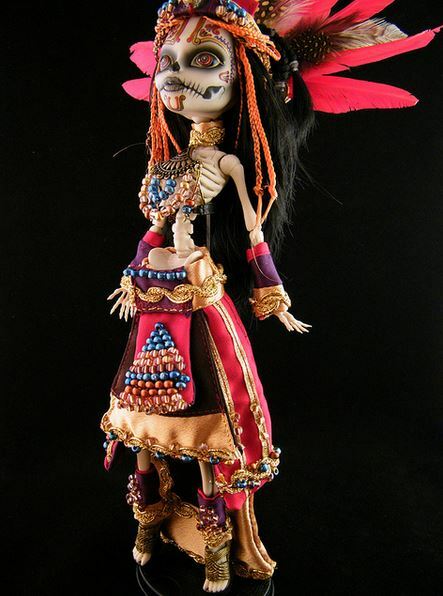 Shamaness? 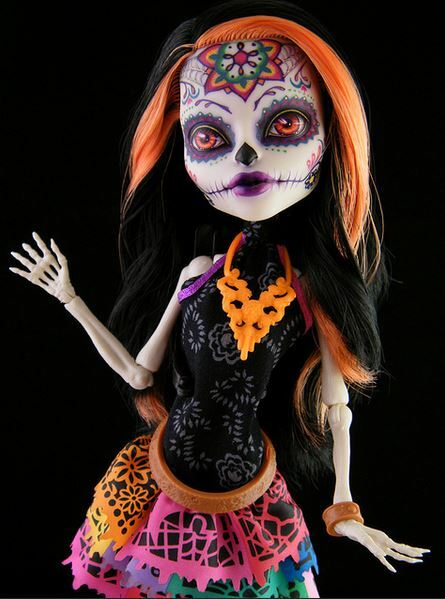 This entry was posted on February 11, 2015 at 7:15 pm and is filed under craft, day of the dead, dolls, skulls and skeletons with tags craft, day of the dead, dolls, skulls and skeletons. You can follow any responses to this entry through the RSS 2.0 feed. You can leave a response, or trackback from your own site. Well then you’re right at home here! 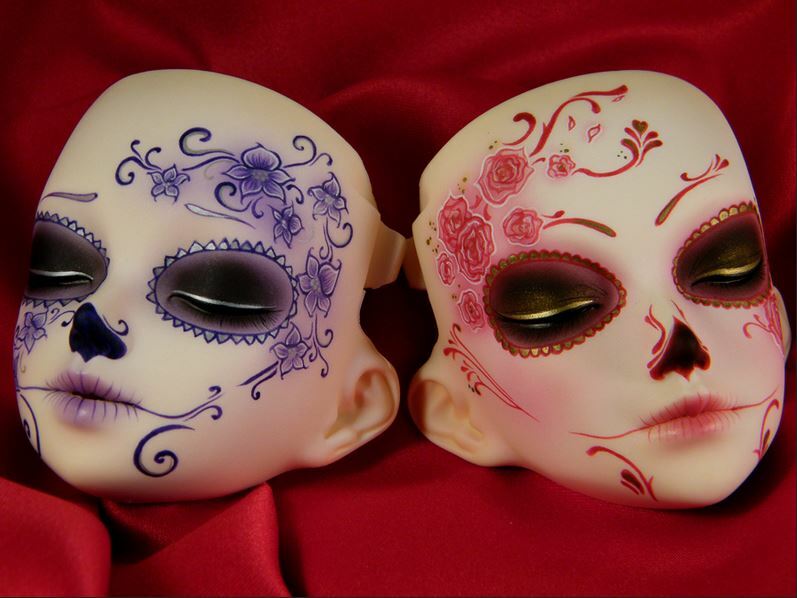 Sugar skulls abound. It’s really fine detail and airbrush work. Impressive. You would have to contact the artist directly through the link at the bottom of the post.